One of the challenges in our new home has been finding appropriate storage locations. Though we have a lot of storage space, we don’t have a lot of drawer space in the kitchen, so I wasn’t able to lay them down in a drawer. 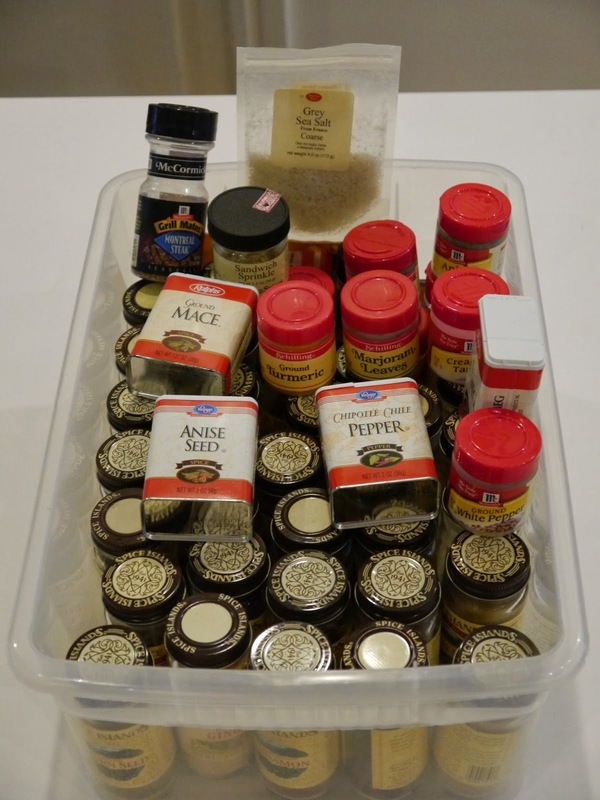 I ended up putting them in a plastic box in the pantry, but because they weren’t labeled on the tops, I had to pull out each spice to figure out if it was the one I needed. 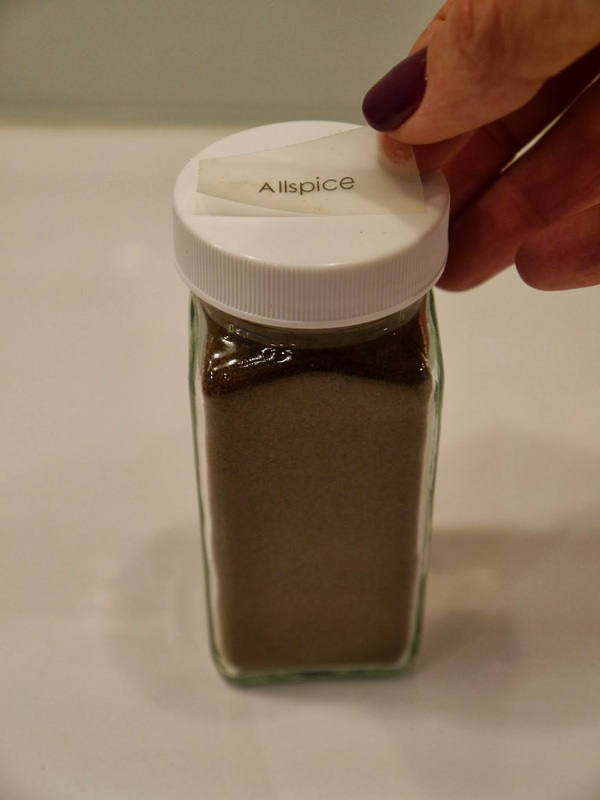 To solve this problem, I ordered square glass bottles, decanted the spices into them, and labeled the top of each bottle. Being able to see what each bottle contains saves so much time and looks so nice that I’m glad I undertook this project. 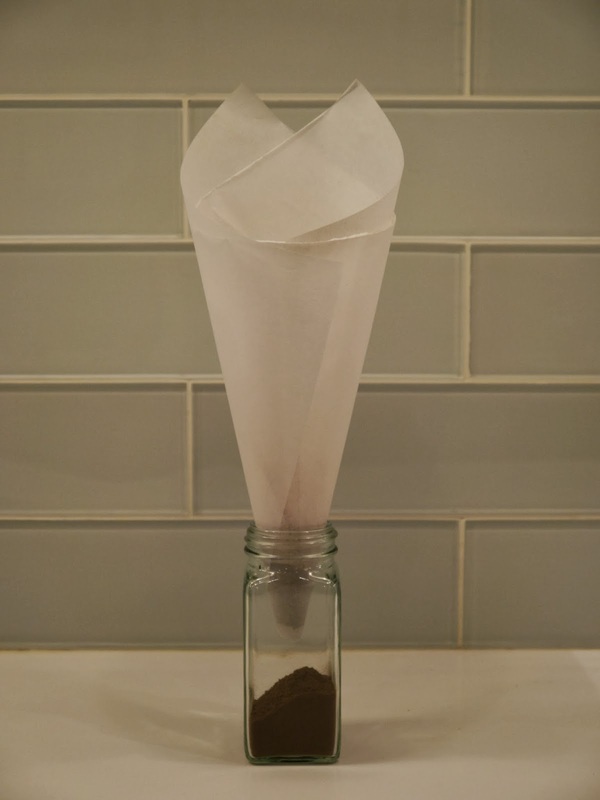 paper to form a funnel.